The flu season has officially started since last month, however, it has a tendency to reach its higher point during the months of January and February. Since we know that it can be a bothering situation, we got a bunch of natural remedies that will get you through it in no time. 1.- Eat Garlic: Besides being an incredible flavor booster, garlic consumption boosts your immune system, while being an incredible antiviral, antibacterial, antiparasitic. So, if you are bold enough, you can chew on a garlic clove, or just add as much as possible to your favorite meals. 2.- Ginger: Ginger roots are an incredible antiseptic, anti-inflammatory source, which makes it ideal for cold/sinus remedies. Enjoy its benefits and make a simple lemon ginger tea (boiling water with minced ginger, add a couple of lemon drops at the end) or add it to your broth bone, and other flu suitable recipes. 3.- Essential Oils: Adding a couple of drops of suitable essential oils to your bath can be a game changer when you are facing a cold. Oils like eucalyptus, lavender, and lemon have great calming effects and they can work wonders when it comes to clearing a stuffy nose. 4.- Pack On Vitamin C: According to recent studies, higher consumptions of vitamin C can be the key to getting rid of a cold faster. Increasing your citrus intake, taking vitamin C glass vials, or even getting intravenous vitamin C, can be great ways to boost your immune system and beat the flu in no time. 5.-Rest: As simple as it might sound, resting is key to allowing your body to fight the virus effectively. When you lack sleep or sleep regularly for less than 6 hours, you are unintentionally weakening your immune system. A good night of sleep is key to resetting your body, clearing your mind, and overcoming the virus. 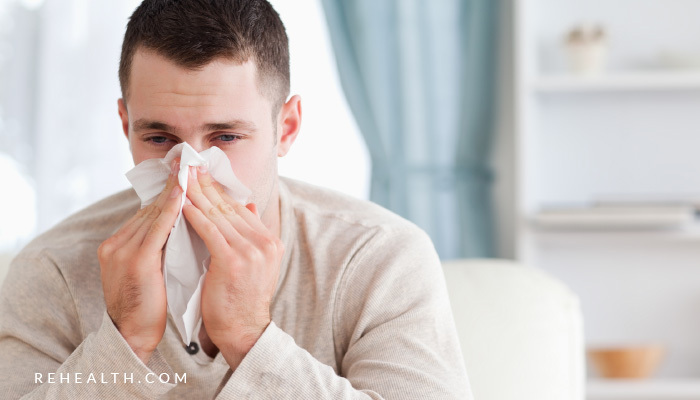 These recommendations are simple tips that can help you naturally get over a simple cold, however, if you are experiencing fever, chills, or other symptoms we highly recommend you to visit your doctor and avoid self-medication.